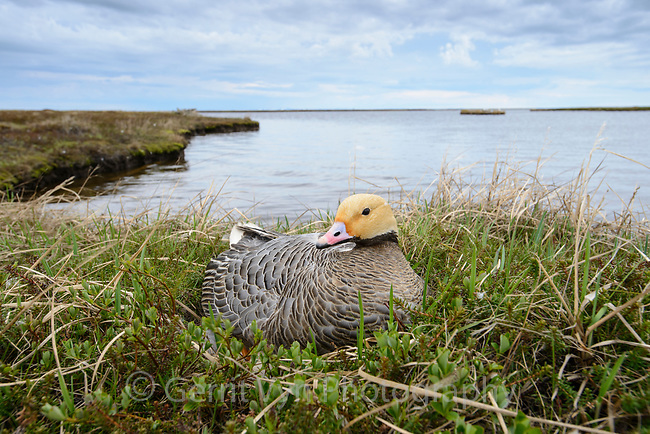 Emperor Goose (Chen canagica) incubating eggs on the nest beside a tundra lake. Yukon Delta, Alaska. June.